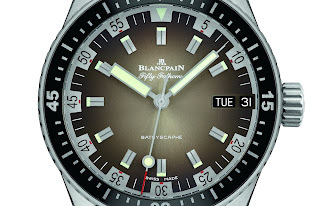 I don’t wish to be a killjoy, but can I start by saying – I am really not a fan of day-date displays, especially when used on what would otherwise have been a killer dial. That said, when we think of the Fifty Fathoms, we usually think of the 1950s, so it is a cool surprise to see the funky 70s finally being used as inspiration for this new FF Bathyscaphe. The 70s saw bold dial markings with Arabic numerals and windows for the day of the week and date at 3 o’clock, probably because everyone was too high to remember what day of the week it actually was. These models featured a silvered dial ring with rectangular indexes and Arabic numerals radially arrayed every five minutes. 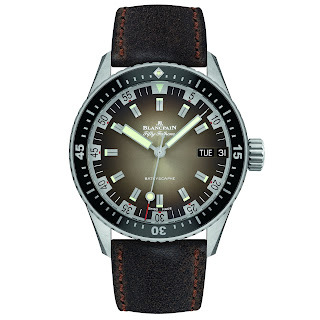 The Fifty Fathoms Bathyscaphe Day Date 70s was of course inspired by this unique style. But because it is modern Bathysacphe it has all the trappings of a cutting-edge dive watch, such as its 43mm satin-finished case which is equipped with a unidirectional divers bezel fitted with a ceramic insert and its dive-time-scale in Liquidmetal. 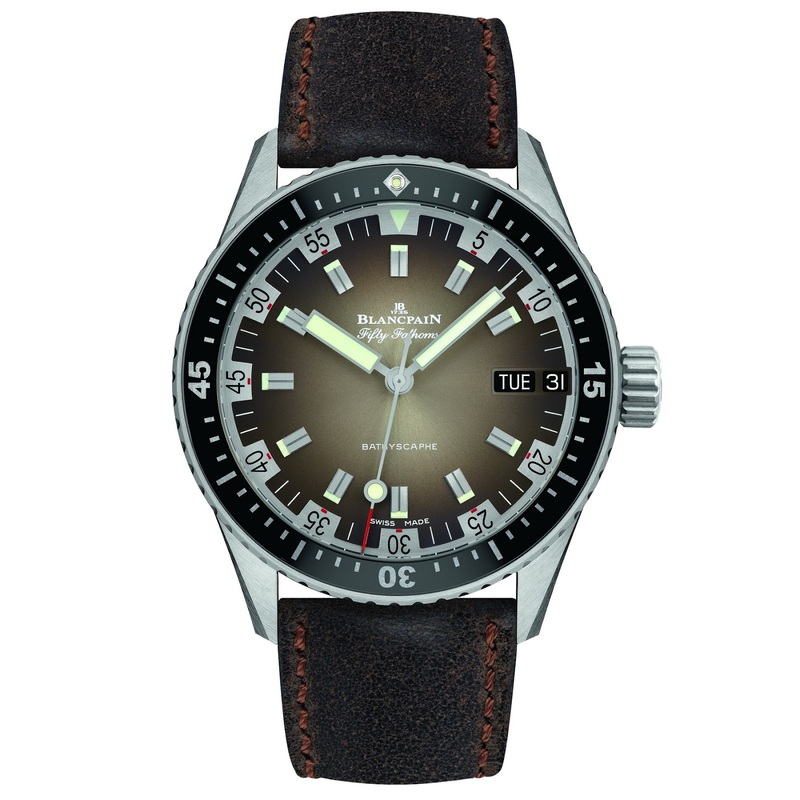 Powered by high-tech Blancpain manufacture movement, the Limited of 500 pieces, the Fifty Fathoms Bathyscaphe Day Date 70s is available with four different strap options: vintage-style aged leather, sail-canvas or a NATO, as well as a steel bracelet.